Sway everyone with the utter charm of this Heartening Harlequin Long Tunic with Exquisite Embroidery in shades of pink, blue, green and red on a dull beige base. The ban collared tunic has three fourth sleeves to go with it and additionally some multi layered taping that looks well at its edges of sleeves and the main base. 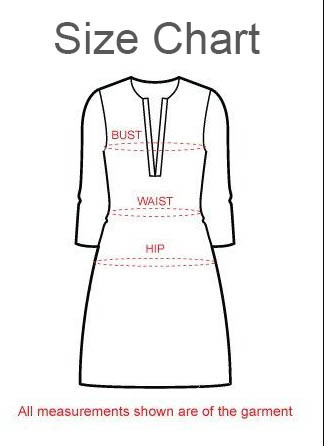 The centre body of the tunic has blocks of diverse embroidery designs placed adjacent to each other all over it.